We recognized the need for the Latah Creek brand to be more consistent throughout all of their social platforms. In order to make the brand’s digital footprint more cohesive, we tailored each social media bio, ensured a fitting call-to-action was implemented, and double-checked that all platforms were verified. After this, we made sure that all socials and digital properties were interlinked. After optimizing all social platforms, we pieced together a content plan that resonated and engaged the brand’s target audience. We brainstormed what type of content ideas to post on each specific network based on which audience(s) exists where. From there, we built a social media schedule to optimize posts for times of highest engagement per platform. We wanted to ensure we were hitting the right audience with the right content at the right time. At this point, we took our plans and began to execute. We did this by fully submerging ourselves in the Latah Creek brand, getting to know the people behind the brand, and creatively capturing the value that the brands brings to their consumers and potential customers. Our main goal here was to humanize the brand. We noticed a big problem with other local businesses in the area – they weren’t consistently engaging with their user base online. 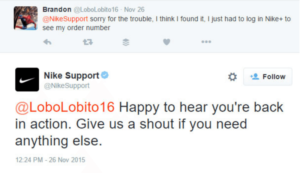 Because of this, we made an effort to closely monitor social activity surrounding the brand in order to grow an engaged following. On Facebook, we made it a point to be quick to respond to all likes, comments and shares. 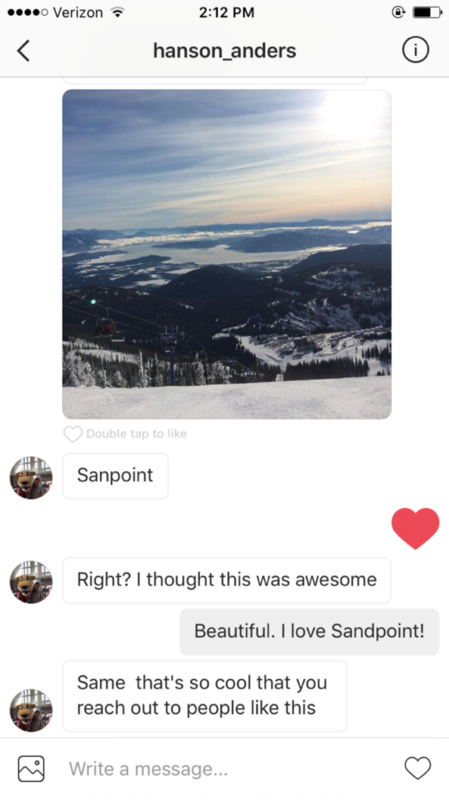 On Instagram, our focus included connecting with industry leaders and garnering a local following. On Twitter, we boosted sharing activity and regularly checked for opportunities to engage with trending hashtags. 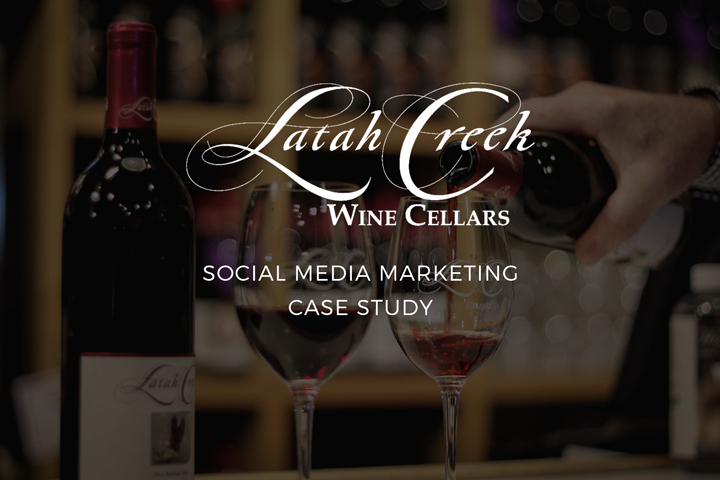 Through proper social media marketing, in one month we increased Latah Creek Winery’s brand awareness, brand engagement, and online community through various networks. Not only has this equated to an increase in web traffic, but also increased sales and positive brand reviews. It’s no secret that Instagram is a powerhouse player in the social media world. With over 600 million active users, the platform only keeps growing as it’s boasted 100 million new users since June. If you want to create a popular Instagram brand for your company or even create and monetize a new brand, it’s easier than ever in today’s world. The attention is there. There are willing buyers. And as always, content is king. 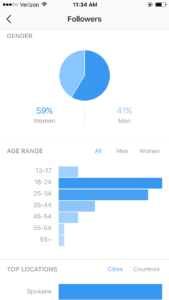 This is arguably the most important part of growing a strong Instagram fan base — knowing what type of visual content your target audience wants to consume. What started off as a realization that I followed numerous accounts that posted pictures from around the Pacific Northwest turned into an idea that I could capitalize on the cult following these accounts got. People in the PNW are so proud of where they’re from and are always excited to share pictures of their favorite places. In the midst of luscious landscapes and hidden lakes, I discovered a community of passionate people who love where they live. Not only do they love to see pictures from around the PNW, but they love to share their adventures with others. With this idea in mind, PNW Paradise was born. We live in a day and age that’s marred by social media users wanting more. More likes. More comments. And yes, more followers. In a time where some people think our follower count becomes our social worth, so many social media users try to find outlets to get their content and name out to the masses. Gone are the days where bigger accounts get in trouble for reposting content that isn’t original without giving credit to who it came from (yes, I’m looking at you @FuckJerry and @TheFatJew). Now, with a simple @mention you can usually turn repurposing content into a positive by giving credit to the original creator. It’s a give-and-take scenario. 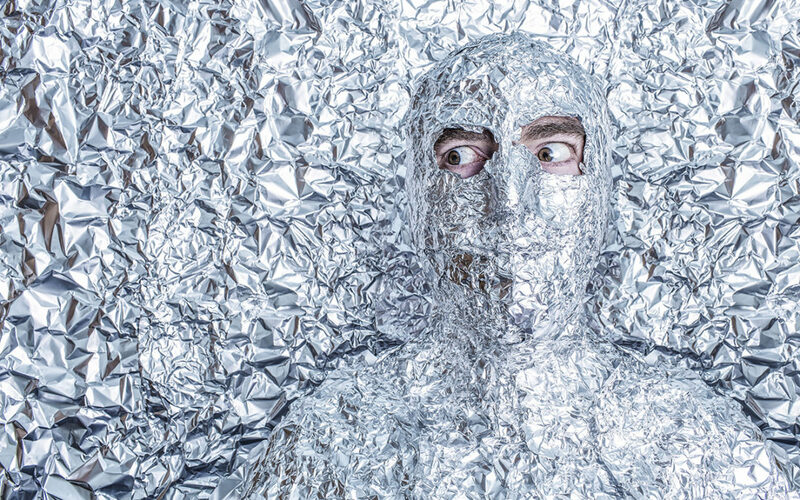 You’re using content from another user in order to consistently post on your account and, in turn, you’re providing photographers an outlet to get their work showcased. *In the rare case, you may have a photographer reach out and ask you to take their photo down or have you ask for permission the next time. Not a huge deal, just be a kind person and always put other users first to respect their creative abilities! While the #hashtag was born on Twitter, social media users long for being able to find relevant content to consumer and using hashtags on Instagram is a great way to do this. First of all, I really recommend creating a brand hashtag for your page. For PNW Paradise, I use #PNWparadise (pretty simple, right?). What this does, however, is create a hub for your content and for similar content. Users are able to click on that hashtag to view pictures and videos that align with your page’s vibe. In addition, once you build this hub it begins to work as a marketing tool for you. Users will become familiar with your hashtag, utilize it in their own posts, and, in turn, attract their followers to your hub. By using a brand hashtag and hiding up to 29 other relevant hashtags in the comments, you’ll gain extra exposure, new followers, and a hell of a lot more engagement. Sometimes, it’s like beating a dead horse. But, you will get absolutely nowhere on social media if you’re not using each platform for what they’re made for — socializing! 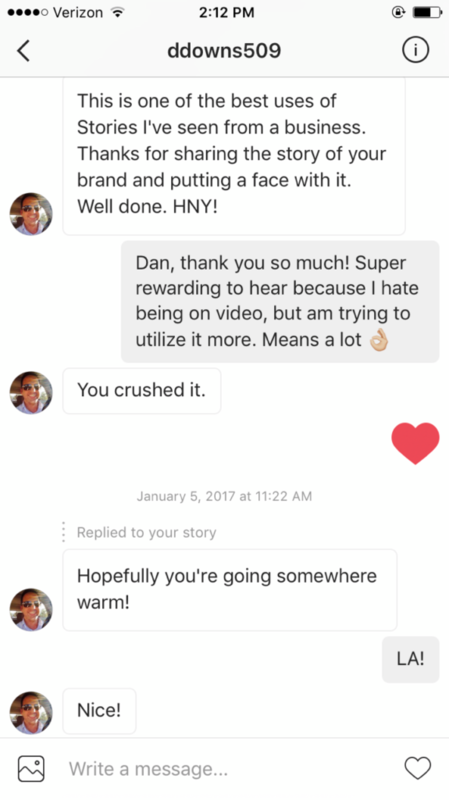 Yes, there are plenty of tools like Instagress to help you automate this process, but nothing will compare to actually putting in an extra 15-30 minutes throughout the day to like and comment on other users content. Thanks man… I will have a great day. If you’re trying to organically grow a social media account, there are no shortcuts. Put in the work, get results. It’s as simple as that. 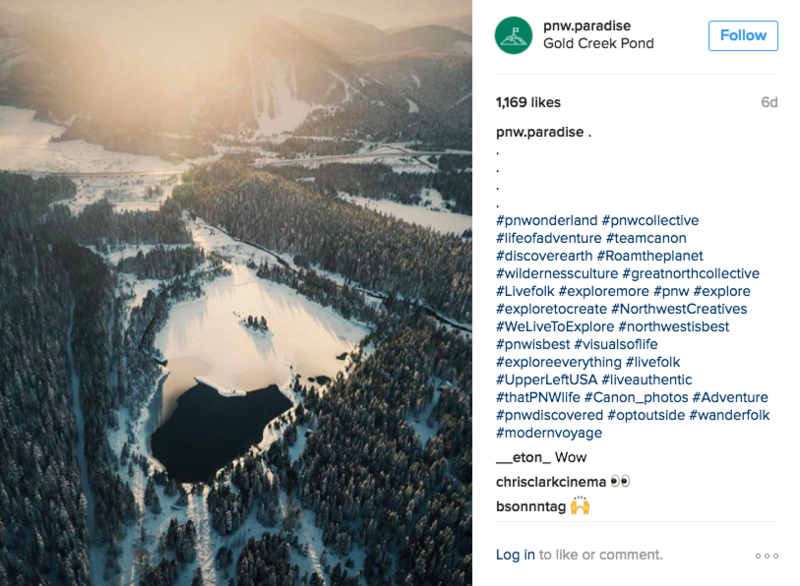 With this tips above, I’ve managed to grow the PNW Paradise Instagram account to over 12,000 followers, amass over 500,000 likes and 5,000 comments, and turned a simple social media account into a side hustle in just a few short months. 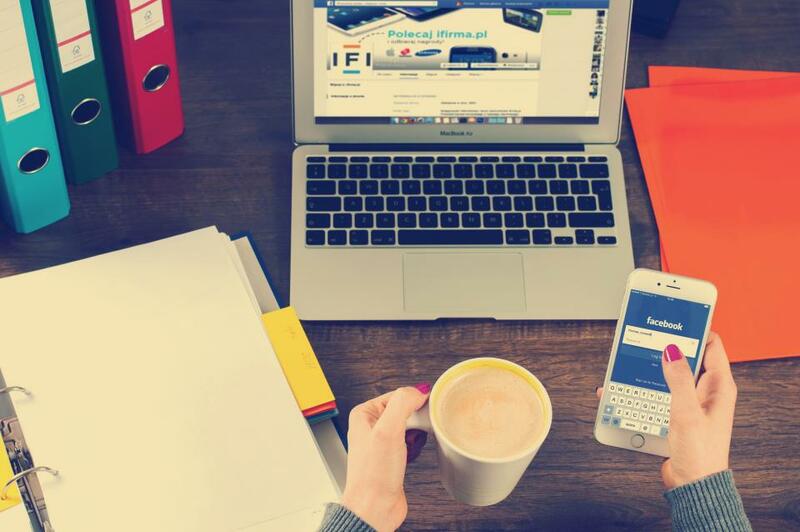 If you’re a brand that needs help with Social Media Marketing, don’t hesitate to reach out to our team at Wake Digital today to get started! Facebook Insights, you’re able to dive into key characteristics that help you fully understand your market. From the types of things your followers ‘like’ down to the topics they’re talking about on social media, these insights are essential for knowing what type of content to post, what voice to use when engaging with consumers, and how to more intricately market to your audience. Not only will this help with engagement & growth, but understanding your audience better gives you a unique advantage over your competitors because you start to build relationships with your audience as opposed to being a static brand. Social media has made it easier than ever to use geographic locations to your advantage. Want to find where people are eating brunch in LA? Look at the geotags of Instagram users in the area that post food-related content. Do you want to find out where millennials are sharing their experiences with their friends? Check out Snapchat Stories and monitor geofilters that are being used. As platforms evolve, geolocations are becoming a vital part of social media. Use this to your advantage when targeting a local audience. Tools like Instagress have advanced targeting capabilities that allow you to like/comment/follow content and users that are located near you. That simple ‘like’ could turn into a new follower, which could then easily turn into a paying customer. Think about social media as an acquisition strategy: Research > Engagement > New Follower > Sale. With the continued evolution of social media, consumers are spending more time than ever on mobile devices. According to marketingland.com, nearly 80 percent of all social media time is spent on mobile. Consumers expect to have answers to their questions about your business at their fingertips. If you’re not monitoring your social media engagements, you could miss out on valuable opportunities to convert interested buyers. Simon Mainwaring, a leading branding consultant, so accurately highlights this in saying, “Social media is not about the exploitation of technology but service to community.” It’s your obligation as a business to provide real-time support for your customers. In return, you’ll create unique relationships with your audience that speaks volumes about the value you place on customer retention. As is the case for any business, marketing can get costly. If your budget is tight and you’re looking for a cheaper option to get your brand out there, social media is the perfect avenue to do so. While many platforms these days offer paid options to market your content, engaging with your audience will only cost you a little time and effort. If you want to stay on top of your game, use an app like Buffer to schedule out your social media posts. This only takes about 1-2 hours a week and can provide immense value for your business. All in all, social media is an essential marketing asset for any business, small or large, to reach their target audience. If you’re strapped for time and/or money, think about utilizing just 1-2 social media platforms that suit your business the best. You’ll be amazed at the results you can get by simply creating personal relationships with your consumers! Need help with your social media marketing? If so, shoot us an email today and our team would be happy to help!